For most of his life, this New England native has had a passion for the written word. That's why at US Federal Contractor Registration, Hayden fills the niche of the creative copywriter. His experience in writing ranges from freelance journalism to developing content for marketing. In the past, Hayden has written for clients in a wide array of industries. From hospitality to law, he knows that every business has their own unique story and voice. 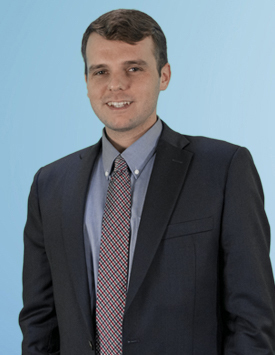 At USFCR, Hayden strives to use creativity and innovation to bring success to our clients. As an Eckerd College alumni, he knows that learning is a life-long practice. That's why he's always keeping tabs on the latest news and never stops at building upon his skillset. On his spare time, you most likely find him with either a book or instrument in his hand.